The dialog surrounding stormwater management tends to mainly surround the corporate realm but as individuals who also contribute to pollution we carry a responsibility as well. 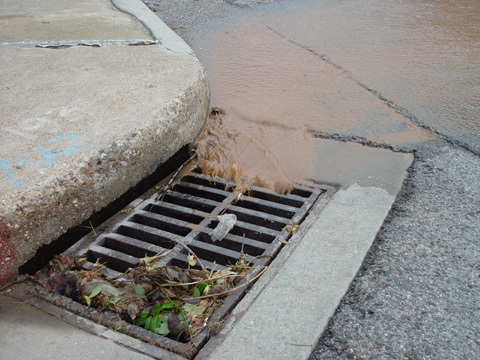 Lawn waste flowing into storm drains directly affects lakes, streams and rivers. By Percoa USA in Stormwater management on December 28, 2011 .